Yoga Therapy is a one-on-one approach that employs yoga techniques to help create a sustained, personalized and optimally beneficial yoga practice. It involves the adaptation and application of Yoga techniques and practices to help individuals facing health challenges at any level manage their condition, reduce symptoms, restore balance, increase vitality and improve attitude. Sessions are one-on-one and tailored to your conditions, limitations and interests. During your first session you will explain the history of your conditions and your health goals and answer a few questions. Tracy will then lead you though a practice to address your specific needs in a way that is relevant and comfortable to you. We often begin with simple, yet effective, short practices so you are able to practice on your own. After a few days or a week we meet again to check on your progress, clarify the practice and add to or adjust it, as needed. For maximum effectiveness most people start with a minimum of three sessions. If you choose to continue, we can then meet less frequently to monitor your practice and make adjustments. Tracy attained her Yoga Therapy Certification through American Viniyoga Institute. The training was a two- year, 500 hour training. American Viniyoga Institute is an IAYT certified school. 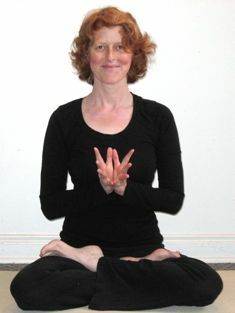 Tracy has Advanced Yoga Teacher Training (E-RYT® 500), and is registered with the Yoga Alliance. Tracy’s 500 hour training was also through American Viniyoga Institute. One of UpDog’s very first yoga instructors, Tracy has been teaching yoga full time for over 15 years, and practicing for over 25 years. A session is one hour for $80. The first session may run longer, with no extra charge. Most sessions are held across the hall from UpDog in the Downtown Wellness Union; please check in first at the UpDog front desk, and arrive five minutes prior to your session. Comfortable “yoga clothing” is recommended; props, mat, etc. are provided.